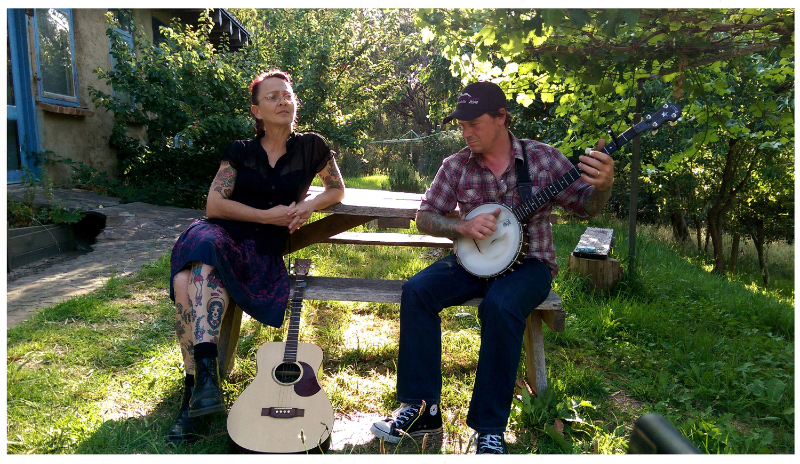 Slim Dime are an acoustic folk duo. Their music is contemporary and urban, but woven through with the simplicity and space of old time, mountain string band music. Slim Dime features Jen Land on acoustic tenor guitar and vocals, she also pens the lyrics of their original material. Mary Jane features lyrics written by Jen Land, music written by Jen Land and arranged by Chris Taylor and was performed by Slim Dime – Jen Land & Chris Taylor. The Slim Dime track Lil’ Darlin’ features lyrics written by Jen Land and music by Chris Taylor and arranged by Jen Land and was performed by Slim Dime – Jen Land & Chris Taylor. Both of the songs are new but sound as though they have always existed somewhere, on a mountaintop.